Byre's Road is one of Glasgow's most famous streets for eating, shopping, and culture. It is in the heart of the stylish West End - the area that Glasgow's arty and literary types gravitate to, home of the city's main university, and the old base for BBC Scotland. Byre's Road is long and you can easily spend a whole day there, working your way along it and through the various boutiques and quirky eateries. At one end lies a beautiful converted church, which is now one of Glasgow's best arts venues. 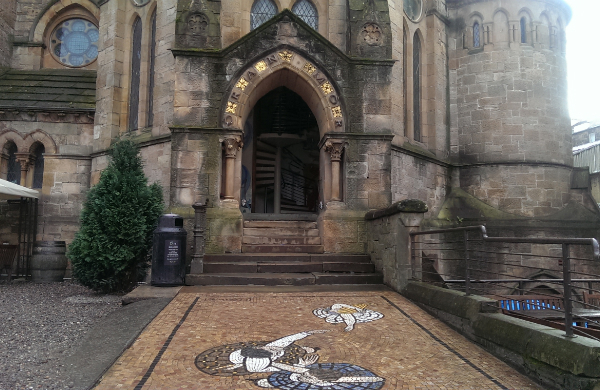 Throughout the year, Oran Mor plays host to lunchtime theatre - often starring some of Scotland's most prolific actors. From Shakespeare to original Scottish writing, the ‘Play, A Pie & A Pint’ series literally lets you enjoy a pie and a pint in front of a great piece of theatre. At night, the venue turns into a lively bar that appeals to both the local students and the style hunters. Across the road, you can walk off your pie in the city's Botanic Gardens. This stunning and safe park is always full of families and dog-walkers in all seasons. If you also visit the arboretum, you'll see a beautiful collection of flowers and plants from across the world. It’s a relaxing place that will soon make you forget you are in the midst of a city. Further down Byre's Road, just at the start of the St.George Street side road is The Sentry Box - a delightful traditional toy store that will enchant children of all ages, and leave adults longing for a lost childhood. Full of wooden toys and pretty dolls, there is not a battery in sight. 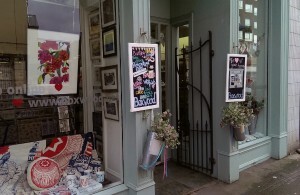 Another store on Byre's Road that is more than worth a visit is Boxwood. This rustic home interiors and gift boutique has some stunning pieces of art work and pretty handmade beaded bracelets. It's a great place to find a unique gift or just while away an hour browsing. At the opposite end of the street is Asian street food restaurant and bar Bar Soba West. They serve the most delicious and affordable Thai and Malaysian food which is all freshly prepared and very authentic. There is also a wide selection of very low-priced cocktails too - making it the perfect place to rest your weary feet and grab a bite to eat after a busy day. Check out our deals for things to do in Glasgow.